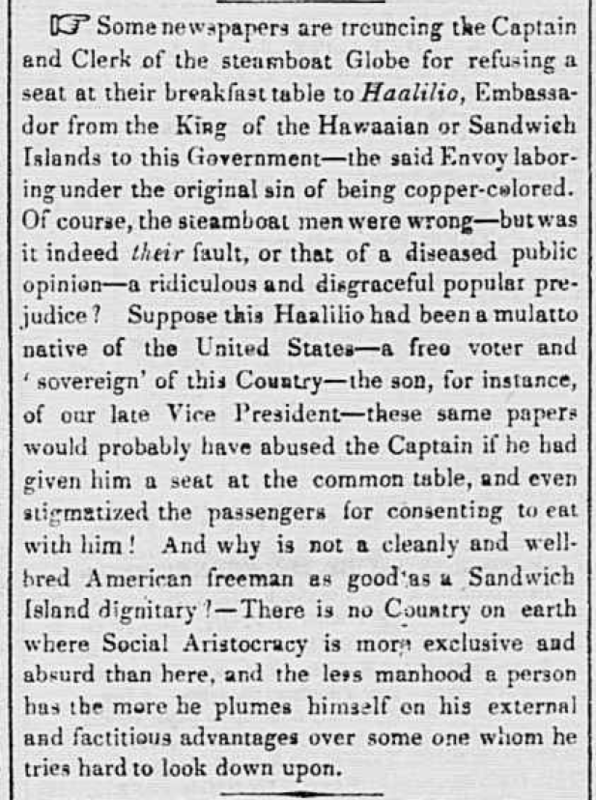 Interesting statements by the United States on Hawaiian Independence, 1843. New-York Daily Tribune, Volume 3, Number 53, Page 2. June 9, 1843. 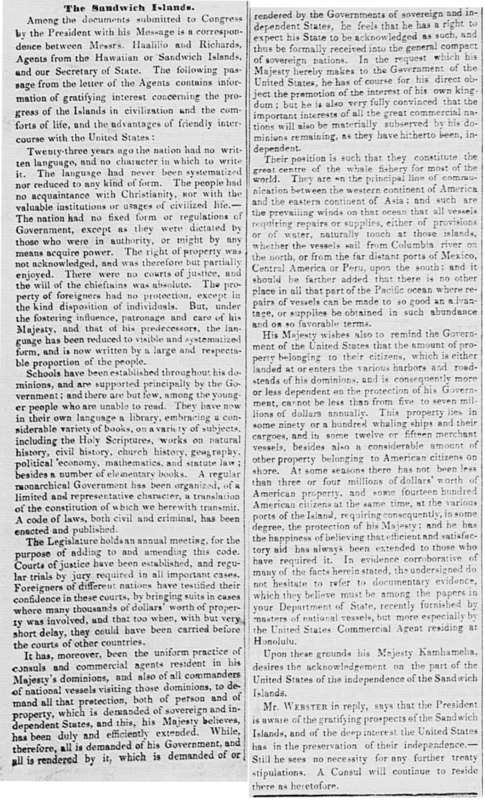 New-York Daily Tribune, Volume II, Number 250, Page 2, January 28, 1843. More on the progress towards independence, 1843. New-York Daily Tribune, Volume II, Number 240, Page 4. January 17, 1843.